Reading and share top 1 Caliente famous quotes and sayings. 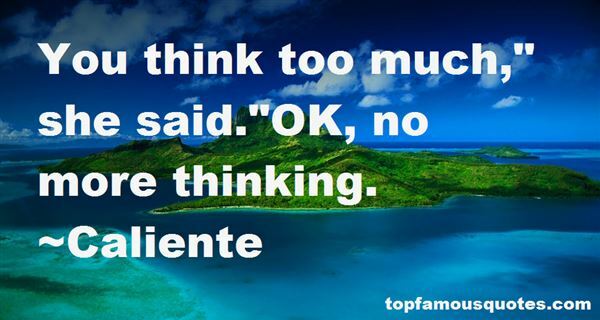 Browse top 1 most favorite famous quotes and sayings by Caliente. It was never the fame or fortune that drove me to act. It was something I love and enjoy doing it. A lot of people identify who they are by what they do and that's not me. It's what I do but not who I am. Who I am is a parent. I'm a family man."